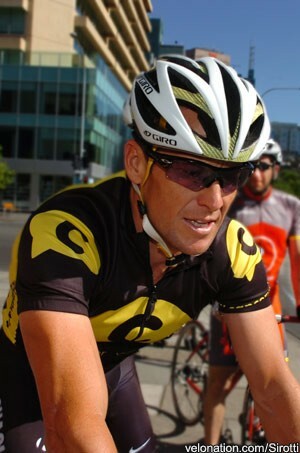 Following yesterday’s news that the US Anti Doping Agency had filed charges against Lance Armstrong, Johan Bruyneel and four others in relation to what it says is evidence of long-running systematic doping relating to the US Postal Service team and subsequent team setups, more reactions have been given to the matter. WADA has been advised that the United States Anti-Doping Agency (USADA) has started anti-doping proceedings against six people formerly involved with cycling teams from the USA. WADA confirms that the process put into place is compliant with the World Anti-Doping Code. It is noted that the proceedings are the result of evidence gathered by USADA under its mandate and does not include evidence obtained by the investigation of the US Department of Justice. In accordance with its mandate under the Code, WADA will not comment on the case but will monitor the process and await its outcome. We learned today that the U.S. Anti-Doping Agency has leveled charges against Lance Armstrong that he violated its rules throughout his career, based on the testimony of anonymous accusers. Regardless of anything anyone says, Lance Armstrong has been one of the most tireless and effective cancer advocates in the world. His legacy as a cancer advocate and fundraiser is indisputable. When other athletes might have kept a cancer diagnosis secret, Lance made a courageous choice to go public. That choice helped spark a revolution in how the world views cancer and its survivors. Lance created the Foundation to serve cancer survivors before any of his Tour de France wins. Our foundation has raised nearly $500 million to serve people and families affected by cancer. We help cancer survivors struggling with the financial, emotional and practical challenges of cancer free of charge. And we advocate tirelessly for legislation, policies and funding to further the fight against cancer. In our eyes, Lance will always remain a champion. Nothing can shake our faith in him as a leader and trailblazer on behalf of cancer survivors. Our thoughts are with Lance and his family as they face what can only be a very frustrating and difficult time as a result of USADA’s actions. “In response to numerous inquiries regarding the public statements made by Mr. Lance Armstrong, we can confirm that written notice of allegations of anti-doping rule violations was sent yesterday to him and to five (5) additional individuals all formerly associated with the United States Postal Service (USPS) professional cycling team. These individuals include three (3) team doctors and two (2) team officials. This formal notice letter is the first step in the multi-step legal process for alleged sport anti-doping rule violations. USADA only initiates matters supported by the evidence. We do not choose whether or not we do our job based on outside pressures, intimidation or for any reason other than the evidence. Our duty on behalf of clean athletes and those that value the integrity of sport is to fairly and thoroughly evaluate all the evidence available and when there is credible evidence of doping, take action under the established rules. As in every USADA case, all named individuals are presumed innocent of the allegations unless and until proven otherwise through the established legal process. If a hearing is ultimately held then it is an independent panel of arbitrators, not USADA that determines whether or not these individuals have committed anti-doping rule violations as alleged.